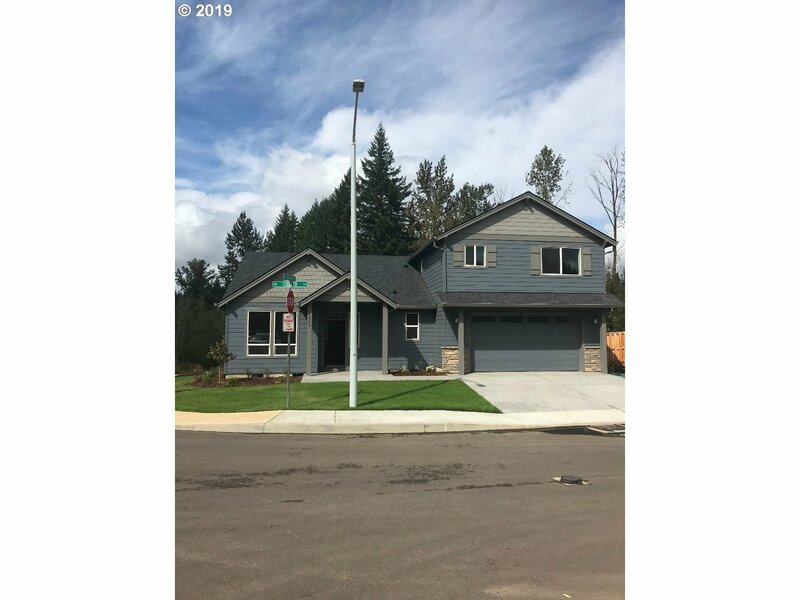 All Estacada homes currently listed for sale in Estacada as of 04/22/2019 are shown below. You can change the search criteria at any time by pressing the 'Change Search' button below. 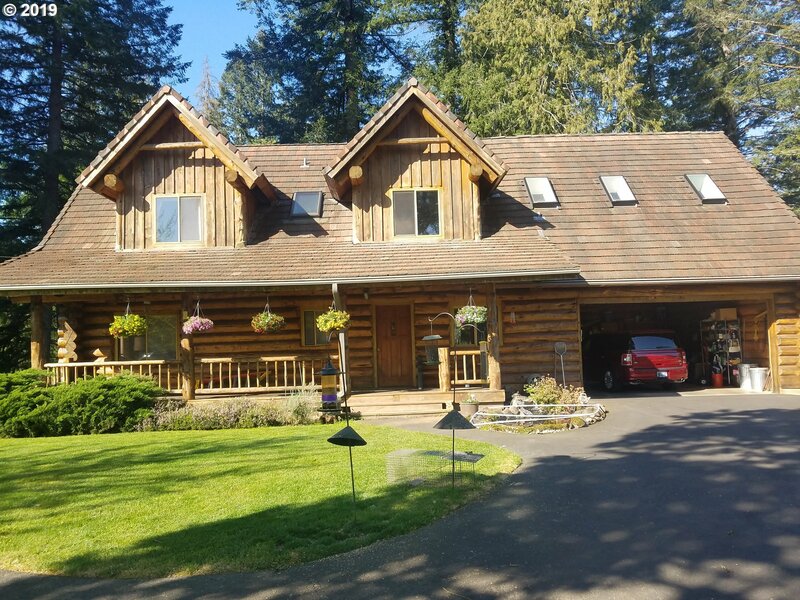 If you have any questions or you would like more information about any Estacada homes for sale or other Estacada real estate, please contact us and one of our knowledgeable Estacada REALTORS® would be pleased to assist you. "40 acre parcel inside the urban growth boundary. Seller will annex into city of Estacada by close date. Natural creek running through property. Similar plot recently approved for development! Please inquire about concept plan for over 100 homes." "Beautiful, private 70 acre property, w/gorgeous views of Mt. Hood. Features an elegant grand entry, soaring vaulted ceilings, and formal living/dining rooms. Master on Main has 2 large walk-in closets, deep jet tub, & glass block shower. Remodeled kitchen w/granite counters, beautiful tiled flrs, SS appl,walk-in, thermostatically controlled wine cellar. Fully equipped 60'X72' metal shop, along with 2-30'X96' hoop houses." "Beautiful custom built gentleman farm, two residences attached by breezeway with 1/4 mi. creek frontage w/meadows. Original home, 3-4 bedrooms(4th non conforming) 3.1 baths, gourmet kitchen, wood floors, master on main w/pastoral views, geothermal heat. Second home constructed 2017, 2 bedroom, 2 story great room, loft, 50X50 Shop w/oversize doors, chicken coop, raised beds, 4 stall barn, detached studio, tree house." "Possible up to 50 or more residential lots after annexed into the city of Estacada. Currently zoned RR-FF5 which allows one partition without zone change for additional buildable small acreage. Water and Sewer close by. Property contigous to City of Estacada on two sides. Buyer to verify all information with City of Estacada and Clackamas County. Great potential to be Estacada's newest neighborhood." "A great home, away from all your neighbors, gated, and private! This home features granite counters and island, stainless steel appliance, and a pantry in the beautiful kitchen. Home sits on 3.21 acres with a natural creek, waterfall, trout and coy fish ponds, and a long paved driveway. A 6-bedrooms home with a den/office, a library, an 8x11 hot tub, built in vacuum system, video surveillance, and intercom. Don't miss out on this one!" "Fall in love with this Tranquil Wilderness Retreat. Fish for Steelhead & Coho w/Picnic Area & Swimming Hole in DELPH CREEK on Property! Acres of Hiking/Horse Trails,Seasonal Pond,Pool House w/Indoor Swimming Pool. Large Daylight Ranch Home has 4 beds/3 baths & Separate Living Area w/2nd Kitchen. Hugh 2100+SF Shop. Apx $150k Marketable Timber. Apx 7 acres of Christmas Trees leased for Extra Income! Photographers Dream Property!" "LAVENDER VALLEY ESTATE. A lovingly restored farmhouse set on 22 +/- acre estate with 19th-century charm. Unique opportunity to own a historic home sited well off the road with park-like grounds. The perfect escape to the country while remaining close the amenities of the city. This four bedroom, two bath home has been lovingly restored and cared for, including updated systems and a full new addition added in the 2000s." "Sweet 1900 built farmhouse on 18.94 acres. Home has 1766 sq ft, 3 beds/2 baths. Main floor laundry w/lots of storage. Upstairs full bath w/clawfoot tub. Relaxing outdoor living. New roof 2015. 3 car garage w/office & bathroom. Renovated barn w/bathroom & lunch room. Hardship/farm dwelling w/1493 sq ft. Endless opportunities ranging from nursery, Christmas trees, filberts, horses, you name it! WATER RIGHTS TOO! Call for further details." "Opportunity awaits you on this private 22.58 acres. It boast a beautiful mountain and valley view. The gently sloped acreage has a number of outbuilding including a 40X70 shop with 2 walk in coolers, 2 barns, a chicken coop, tool shed and greenhouse. The well cared for home includes 3 bedrooms and 2 bathrooms. Solid wood cabinets and tile in the kitchen. Master sits on the lower level with french doors that open to an incredible view." 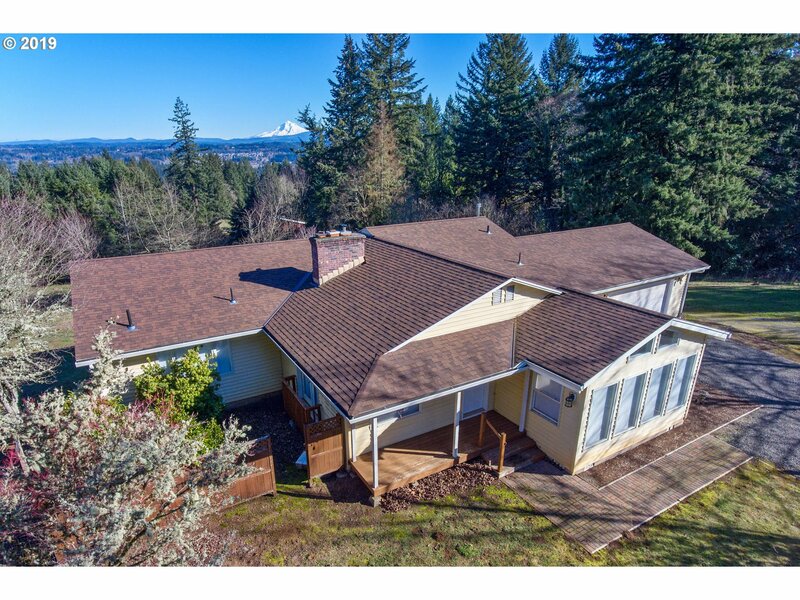 "Enjoy sensational mountain views from this 4266 SF home on over 5 acres. Relax on your back deck watching beautiful sunrises & sunsets. Main level master suite. Incredible kitchen space! Gorgeous hardwoods, vaulted sun room, finished basement w/2 bedrooms, bonus room, office (or non-conforming 4th bed) & storage. New roof/gutters in 2014. 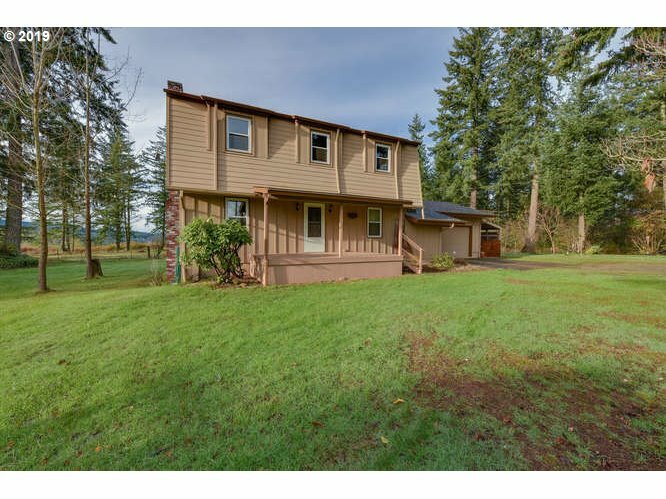 Minutes from McIver Park w/ miles of trails. Apple & Pear Trees. Pad for shop/barn. Open 4/14 1-3." "Peaceful wooded acreage with clean open floor plan, move in ready single level home. 20.47 acres with large 40 x 50 shop. Prime location minutes from downtown Estacada. Unique opportunity awaits!" "Large acreage near town. Beautiful updated 3 bedroom 2 bath single level home with large luxurious wrap around deck. Multiple RV hookups, 1500 sq' fully wired workshop with roll up doors, foundation poured for an additional future shop. 400 square foot unfinished outbuilding could easily be finished. Property has 2 wells and city water. Home is wired with transfer switch to allow easy backup power by generator." "Wonderful warm and cozy log home that is on 3.32 acres and it all on clear creek frontage. This great property is all level and usable acreage. This home is 2356 sq ft and has a bonus/office with a separate entrance. Front coved porch with water feature and double car garage. 12x24 2nd garage, 2 shops buildings 24x32 and 24x48 all wired. Well maintained above ground pool. with pump and cleaning unit. Professionally landscaped." "4.96 level acres with 10 stall barn, 5 paddock doors & 14x72' loafing shed. Cute, nicely cared for farmhouse with main floor office/den, full basement for storage, large deck, fruit trees, wide open spaces to enjoy country living. Additional outbuildings, including workshop area. Newer roof & windows Property in rural area with other upscale homes, the possibilities are endless! Come check it out!" 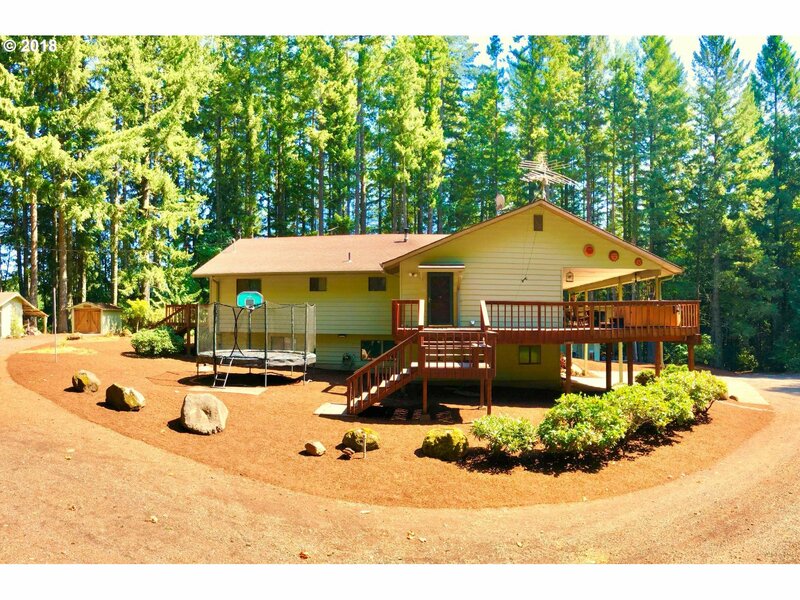 "Custom ranch Style home in Estacada! Vast living room opens to a large kitchen W/SS appliances, eat bar & walk-in butler pantry. Dining room has sliding door to huge back deck. Master suite is complete W/Bathroom and walk-in closet. In addition to your private green 2 acres, you're close to Mt. Hood National park forest. Great location for hiking, camping, & fishing activities, only 3 min. drive to downtown Estacada. See today!" "Our custom new Aspen ADU house plan, 4 bed room 2.5 bath with large great room and island kitchen, 2 car garage, covered rear patio, also includes a 2 bed room 1 bath with single 1 car garage separate unit perfect for mother in law or fantastic rental,"
"Our Timberline plan, 4 bedroom & 16 x 18 bonus room, Den on main, Island kitchen with breakfast nook off 18 x 20 great room, formal dining room with butlers pantry, vaulted master suite with 2 walk in closets, upstairs laundry room, 3 car garage, covered porch & rear patio, all on large corner lot, landscaped front yard, 10 year home warranty"
"OPEN Sat/Sun 1 to 4! Fantastic floor plan with an attached ADU! Main house offers 4 bedrooms, 2.5 baths. The attached ADU offers its own access, 1 car garage, 2 bedrooms, 1 bath and kitchen/living space. Kitchens include SS appliances, laminate floors and granite counter tops. Main house offers great room w/ gas fireplace. 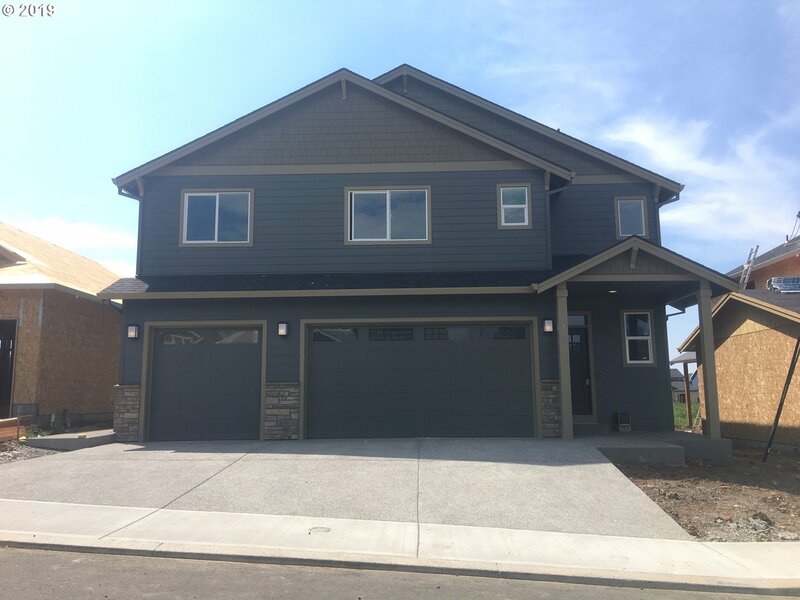 Master suite with large walk in closet and double sinks!Use GPS address 325 SE Regan Hill Loop, Estacada OR 97023"
"Our newest house plan and it has it all, 4 bed + Den + Bonus room, Master suite on the main with huge walk in closet, soak tub and large tiled shower, Island kitchen off 17 x 20 Great room with built-ins, tandem 3 car garage, covered porch & covered patio, Bonus room is 19 x 25, private flat lot at top of cul de sac that backs to trees, room for RV parking!! 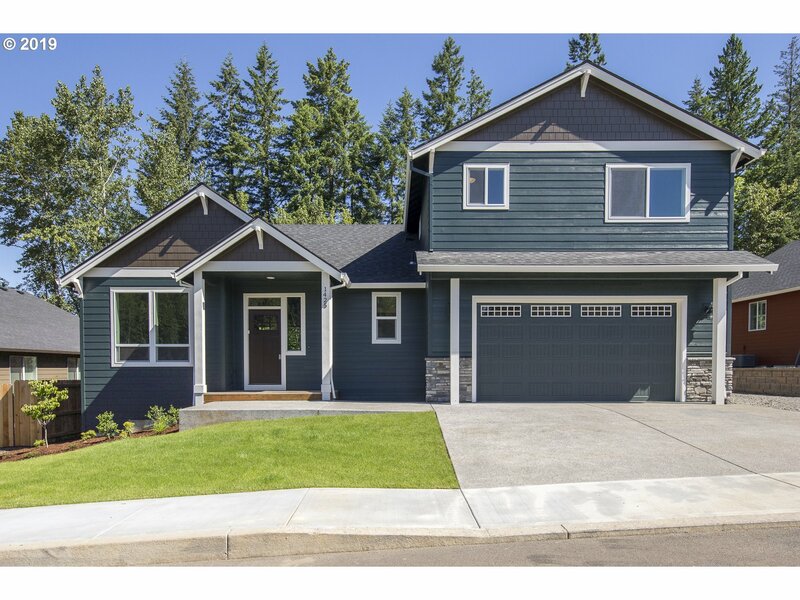 several other new homes to select from"
"Open & more open great room, office & bonus room in the beautiful little town of Estacada Oregon. Propane fire place w/ cathedral ceilings, large kitchen island all w/ granite counter & top end appliances, back yard patio & deck. The master is on the main level w/ soaker tub & separate shower. Lots of big windows for natural lighting and large garage w/ extra down stairs storage"
"Nicely maintained 3+ Acres with lovely Manufactured home w/open floor plan.Home has 3 Bedrooms,2 full baths plus a Den/Office.Laminate floors thru out most of the home.Vaulted kitchen w/island and eating bar is open to the living & dining area w/french doors out to the deck.Master w/bath and WI-closet.48x36 Shop/Pole barn w/concrete floor and 220 power.Level,fenced,gated with Mt Hood view from rear of property!Close to McIver Park." "Our newest plan and it has it all, 4 bed + Den + huge bonus room, Master suite on the main with large walk in closet, island kitchen off 17 x 20 great room with fireplace, tandem 3 car garage, bonus room is 19 x 25, covered porch & rear deck, big corner lot, buyer can select all finishes, slab counter tops through out, front yard landscaped & a 10 year warranty!!" "The perfect ranch, our Latourell plan, 4 bed rooms, large light & bright great room off slab granite island kitchen with corner pantry, vaulted ceilings, laundry room with cabinets & sink, many built ins, over sized 3 car garage, covered porch and rear patio, stunning lot that backs to common area and Currin Creek!! 4th bedroom could be oversized office or media room"
"Buildable & dividable. Adjoins Cascadia Ridge Subdivision. Upon annexing into City-Zoned R1 for 7500 sq ft lots. Utilities including Wi-Fi & cable at boundary. Septic & well exist on property. Manufactured hm removed. Enter property on North end of Gardiner for shorter walk into property. Builders Packet available. Appointment only."